Private sector lender Axis Bank has selected three fintech startups from the first batch of its accelerator programme ‘Thought Factory’ whose solutions it will commercially deploy at its business units, it announced at an event in Bangalore on Friday. Six startups, namely S2Pay, Pally, Perpule, FintechLabs, Paymatrix and Gieom graduated from the first batch. 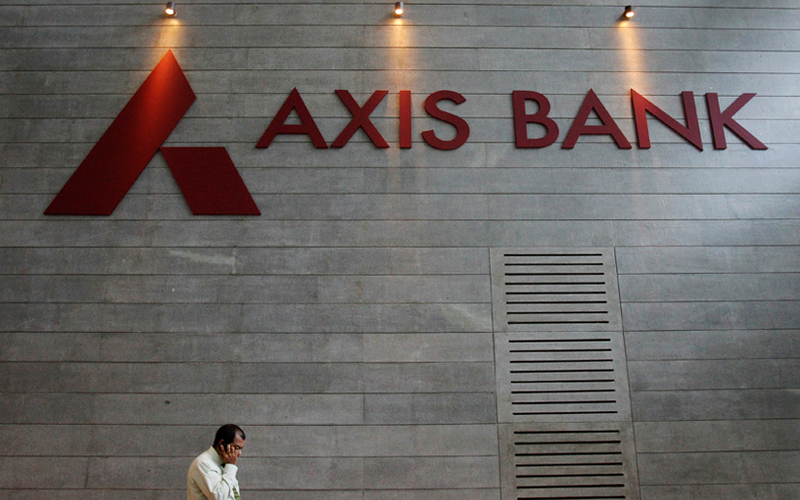 Axis Bank will collaborate with Pally, FintechLabs and Gieom for their tech solutions. Pally is an artificial intelligence stack-based chatbot for investment advisory, FintechLabs offers a machine learning-based tool for bank statement analysis, and Gieom provides a cloud-based tech for operations management. “We will pilot these solutions internally before releasing them to our customers. Axis Bank doesn’t take any stake in these startups, neither will we invest in any. We will associate with these startups on a commerce agreement basis,” Rajiv Anand, executive director, Axis Bank, said. Pally: Using AI, Pally enables businesses in the financial domain to deliver better customer experiences. It has created a chatbot that creates an investment portfolio for tax savings when it is fed an image of a salary slip. The startup was part of the Entrepreneur in Residence program at Kstart, the seed programme from Kalaari Capital. S2Pay: The startup fundamentally enables offline mobile payments. S2Pay’s solution forms a layer over any payments app and users can make secure payments from their mobile app, even when they are offline. Perpule: A Kalaari Capital-funded startup, Perpule allows users to scan products from their mobile app and pay from within the app once the list is complete. The company had raised $650,000 in an angel round from Kstart Capital; Venture Highway; and Raghunandan G, co-founder of TaxiForSure. FintechLabs: This is a lending management platform that offers different analytical models that can be used in the digital lending space. It offers a bunch of solutions including loan management software, peer-to-peer lending marketplace software, bank statement analyser, and ID proof verification software. Paymatrix: This startup is a property rent management platform connecting tenants and landlords. It automates the rent collection process through different payment options, offers customised rental agreements and provides tenant screening services. Gieom: This firm offers cloud-based solutions and analytics to help large firms manage their operations, employee productivity, change management, and risk and compliance. It also helps banks transition smoothly to new IT systems. Axis Bank announced the launch of its Thought Factory in June 2016, which it said will be an innovation lab facility aimed at accelerating the development of innovative technology solutions for the banking sector. It then selected Mumbai-based technology startup accelerator Zone Startups to manage its accelerator programme. The Thought Factory also runs an in-house incubator where it is working with three other startups to build innovative products. The bank is building a chatbot with Active AI to provide speedy redressal of customer queries via chat, an AI-based smart video-surveillance product with Uncanny Vision; and an innovation management platform with Worxogo that uses persuasive technology for aligning work behaviours with work processes. Additionally, the accelerator programme conducts a startup boot camp, a two-month programme for grad startup ideas under its ‘Future of Jobs; initiative. Five student teams of two members each will be provided with a hands-on mentorship programme for pursuing their ideas and converting them into real businesses. For the programme, Axis Bank has collaborated with OCBC Bank, Visa Innovation Lab (Singapore), and Amazon Web Services (India) for co-innovating. Its tech advisory board comprises of Sharad Sharma (iSpirit), Manish Chokhani (Enam), Vishal Gondal (Founder, GoQii) and Shankar Narayan (Singapore-based serial entrepreneur), besides Axis Bank’s senior management.